Call for applications for the Erik Holst AM2017 GA Scholarship! The “Erik Holst MM2017 GA Scholarship” will be 500€ and will be awarded to one (1) medical student, to be used ONLY for participation at the IFMSA GA – August Meeting 2017 in Tanzania. 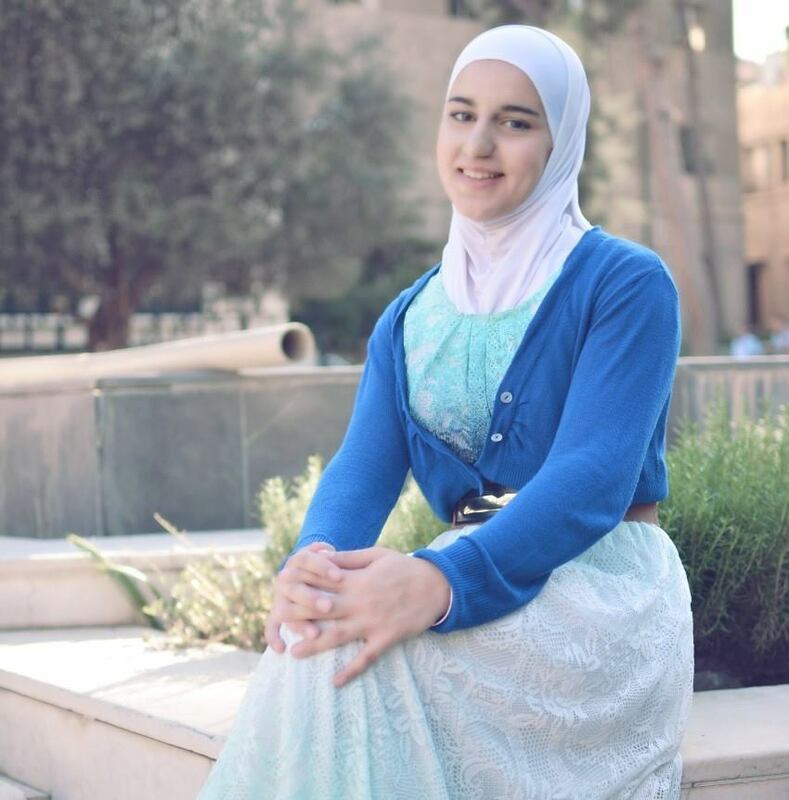 Meet Dana Shubat from Syria! She is the 5th-year medical student studying at the University of Damascus in Syria who has been awarded with the 4th GA Scholarship in the history of our Fund, and is currently getting ready to travel to Budva, Montenegro for the IFMSA General Assembly – March Meeting 2017 representing her country and SMSA-Syria, of which she has been the founder! Dana was chosen among 94 excellent applicants for the scholarship, according to her background, expertise and motivation. The amount of €500 of scholarship money will partially cover Dana’s expenses for registering and traveling to the MM2017 in Montenegro to meet with friends and colleagues studying Medicine from all over the world! Learn more about Dana, by reading through her CV, as well as her letter of Motivation. Coach at Special Olympics, poet, programmer and a volunteer. Founder and current president of SMSA-Syria. • Business Administrative student at University of the People, California, Virtual. • Founded SMSA (Syrian Medical Students’ Association) 2016. • Designed the structure style of SMSA. • was elected as the president for 2016. • Organized proposals of unique workshops sent to the Regional directing team. Establishing Syrian medical students’ associations in Syria was a dream I believed in and worked so hard to make it come true! I started with only one person, we were only two, and now we are a structure of 80 directors in 6 Standing committees representing 5 local medical schools and 18000 Syrian medical students. • Organizer and participant at “Akwan” festival to support Arabic language. • I am a poet (write my own poems in formal Arabic ) who gives poetry evenings since 2010 in the cultural centers in Damascus and Syria. • Writing and directing a cultural show about “Jobran Khalil Jobran”. • Golden medal and first place in all Triathlon National Championships from 2007 until 2015. • Owns the Brown Belt in Karate. • Videoing, montaging and directing the Anatomy video series in medicine faculty in Damascus University. • Translating the Scientific reference ” Common Symptoms Answer Guide A-Z” to Arabic. • I was honored to be the first person who applies and invent DIY MED (Do It Yourself – Medical activities) in Syria. • Supervisor on Medical Wikipedia in Syria. • Scientific papers about to be published. • ” Wiki ” technology. • Supervisor and coordinator of MHS (Med Head Start) team that helps young medicine students to evolve themselves. • Writing medical lectures in AMAZON medical library. • Participant in UN projects for women and children. • A volunteer coach in Special Olympics for swimming and roller skating. • A volunteer in UN virtual activities. • A volunteer in “Sae’ed = help ” charity project. • A volunteer in Syrian Environmental Association. • A volunteer in ” Ayady Khadra = Green hands ” group in Damascus university. • A volunteer at Med Head Start team. • A volunteer at Anatomy Techno Photographers team. • Freelance Translator at Free lance September 2015 – Present. • Graphic Designer at Free lance December 2014 – Present . • Lecturer (Introducing Juniors to Med school) at Damascus University November 2013 • Founder at Hackerspace August 2013 – Present. • Volunteer at Syrian Environmental Association July 2013 – Present. • Writing lectures for medical students, translating scientific referees. • Development Volunteer at Med Head Start September 2012 – Present. • Organizing and participating in “Nizar Kabbany” and “Mahmoud Darwish” events. • Participating in spreading biking culture in Damascus. • Judge in regional Special Olympics games 2010. • Coach in regional Special Olympics games for Middle East and south Africa 2015. • Awarded with TOYP (Top Outstanding Youth Persons) by JCI (Junior Chamber International) for 2016. • One of the only three women triathletes with hijab worldwide. • TEDx Women speaker at the first TEDx women event in Syria 2016. • Speaker at “Hakeem stage” the platform of creative medical students and doctors. Since the war started in Syria, my family’s financial position has drastically changed the same as the country’s. We lost our house and all of properties and found ourselves in the mid of destruction, nowhere to go, no direction to select! It was the same year within it I have been accepted to study medicine at Damascus University. It was a dream that came true but in very different circumstances than what I have always been dreaming of. I saw a chance, a smooth line of light that can lead me to make a positive change. I started to do workshops, events and activities to put a hand in medical students’ hands and recreate our reality, we discovered very soon that there is still too much to learn and to give. 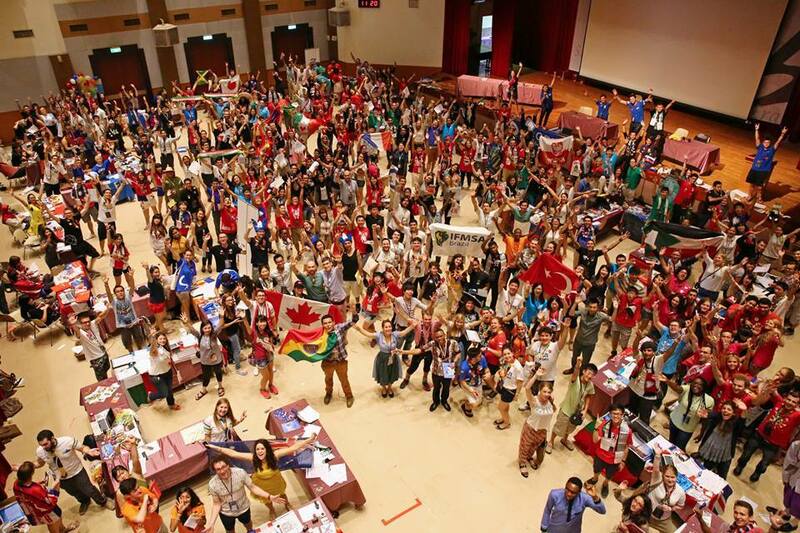 In 2015 I knew about IFMSA, I can’t describe how motivated was I when I received a reply for my enrollment request saying that we are welcomed. In the next day, I started to create SMSA (Syrian Medical Students’ Association). I started with only one person, we were only two, and now we are a structure of 80 active directors in 6 Standing committees. Reaching 5 medical schools of Syria was not easy, as many of the areas are not safe, we managed to meet in dangerous circumstances but deep inside, all what we believed in, was the future of medicine in Syria to-be-made by Syrian Medical Students. I believe IFMSA supports those who are thirsty to learn and achieve, therefore I’m confident my letter will find you understanding and supportive. If I was honored and got ERIK Holst scholarship, and made it to MM2017, I will meet with other NMOs’ presidents and members and learn from their experiences. I will share all what i have learnt through my IFMSA an personal career track and sure implement what I learn in my plan, and make sure I use it when I get back to my home country to transfer all what i learnt and build on it. Because as a medical student, there is no better way to put a hand in building our Syria than to be in IFMSA-SYRIA. It is with great pleasure that we announce the results from the evaluation of all applications for the MM2017 Scholarship, provided by the Prof. Erik Holst Fund to a promising medical student, member of IFMSA, in order to cover some part (if not all) of the expenses for his/her participation at the IFMSA General Assembly – March Meeting 2017 in Montenegro. Ms. Dana SHUBAT from Syria! The Fund first announced the call for applications for the scholarship on November 6th, 2016 over the IFMSA General server, Erik Holst Facebook page and erikholstfund.com and provided a timespan of 4 weeks for receiving applications online. The first announcement was also posted on various IFMSA-related Facebook groups, and was followed by 2 reminders as the deadline approached. The deadline for receiving applications expired on December 1st, 2016 at 23:59 (GMT/UTC). The application procedure was done at our website erikholstfund.com by filling in an online application form, which included a CV and a Motivation Letter of each applicant as a prerequisite for application submission. Through these two texts, we would be able to better become acquainted with each candidate and take a thorough look into their aspirations from their possible participation in the GA, their vision of IFMSA and themselves in it, as well as their background and achievements both academic, professional and personal. As the scholarship aims mainly in students who cannot attend the GA due to financial constraints, special attention was given to any relevant information provided by the applicant. Applicants that haven’t attended a GA before, and those who had previously applied for our scholarship programme were also seen in a more favorable way. After the 1st round of evaluation, a ranking list of all applicants was determined. Then, all applicants were arranged according to IFMSA Region and the first of each Region was chosen, which provided us with a list of 7 finalists in total, because we encountered ties in some Regions. Then, a 2nd round of evaluation followed, starting with these 7 finalists, which led us to the final ranking list that gave the winner of the scholarship. Finally, we would like to thank once again all those who applied, especially those who made it to the list of the finalists. We are sorry that we could not give more scholarships this time, but hopefully we will be able to do so for the next GA, that is the AM2017! We do encourage all of the applicants to reapply next time, when the call for applications is released! We will be happy to receive your applications once again when time comes! Check our website erikholstfund.com for more news & updates on the GA Scholarships and other upcoming grants, as we will be enriching its content soon, after the scholarship is received, as we shall be following our grantee Ms. SHUBAT and her experience at the IFMSA GA- MM2017! Due to unforeseen participation at our last call for applications for the MM2017 Erik Holst GA Scholarship, the Board of Directors is currently fully engaged in finalizing the evaluation of all 90+ received applications within the given deadline. The result will be announced soon, by tomorrow evening GMT, Monday December 12th 2016. This shall allow enough time the beneficiary of the scholarship to finalize their early registration in close cooperation with their NMO president and the IFMSA EB before the deadline for early registrations expires. As of December 1st, 2016 23:59 GMT/UTC, applications for the Erik Holst MM2017 GA Scholarship are closed. Evaluation of all applications received will follow. Applicants will be notified of the result during the 1st week of December, most probably around December 7th, 2016. On behalf of the Prof. Erik Holst Fund Board of Directors. ANNOUNCING THE WINNER OF THE ERIK HOLST AM2016 GA SCHOLARSHIP! It is with great pleasure that we announce the results from the evaluation of all applications for the AM2016 Scholarship, provided by the Prof. Erik Holst Fund to a promising medical student, member of IFMSA, in order to cover some part (if not all) of the expenses for his/her participation at the IFMSA General Assembly – August Meeting 2016 in Mexico. Mr. Desire RUHINDA from Tanzania! The Fund first announced the call for applications for the scholarship on 24 April 2016 (over the IFMSA General server, Erik Holst Facebook page and erikholstfund.com) and provided a timespan of 2 weeks (14 days) for receiving applications online. The first announcement was also posted on various IFMSA-related Facebook groups, and was followed by 2 reminders as the deadline approached. The deadline for receiving applications expired on May 7th, 2016 at 23:59 (GMT/UTC). The application procedure was done at our website erikholstfund.com by filling in an online application form, which included a CV and a Motivation Letter of each applicant as a prerequisite for application submission. Through these two texts, we would be able to better become acquainted with each candidate and take a thorough look into their aspirations from their possible participation in the GA, their vision of IFMSA and themselves in it, as well as their background and achievements both academic, professional and personal. As the scholarship aims mainly in students who cannot attend the GA due to financial constraints, special attention was given to any relevant information provided by the applicant. Applicants that haven’t attended a GA before, were also seen in a more favorable way. After the 1st round of evaluation, a ranking list of all applicants was determined. Then, all applicants were arranged according to IFMSA Region and the 2 first of each Region were chosen, which provided us with a list of 12 finalists in total, because we encountered ties in some Regions. Then, a 2nd round of evaluation followed, starting with these 12 finalists, which led us to the final ranking list that gave the winner of the scholarship. Finally, we would like to thank once again all those who applied, especially those who made it to the list of the 12 finalists. 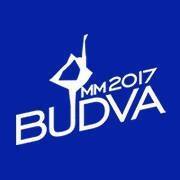 We are sorry that we could not give more scholarships this time, but hopefully we will be able to do so for the next GA, that is the MM2017! We do encourage all of the applicants to reapply next time, when the call for applications is released! We will be happy to receive your applications once again when time comes! Check our website erikholstfund.com for more news & updates on the GA Scholarships and other upcoming grants, as we will be enriching its content soon, after the scholarship is received, as we shall be following our grantee Mr. Ruhinda and his experience at the IFMSA GA-AM2016! The Prof. Erik Holst Fund Board of Directors: Konstantinos Roditis (Chair), Yon Chong (Secretary), Stefan Buttigieg (External Relations Officer) and Xaviour Walker (Advisor). We apologize for the slight delay in evaluating your applications, the final results will be announced online on http://www.erikholstfund.com and on our Facebook page really soon, by tomorrow Sunday 15 May, 2016 at noon 12:00 GMT. The winner of the scholarship will be also notified in a personal email, as well as the rest of you who applied. As of May 7, 2016 23:59 GMT/UTC, applications for the Erik Holst AM2016 GA Scholarship are closed. Applicants will be notified of the result during the 2nd week of May, most probably around May 10, 2016. We thank once again all applicants that submitted their application for the AM2016 scholarship!